New Starbucks openings across the country might not make the front pages of newspapers anymore, but the latest plans for a new location in Chicago will certainly make heads turn. 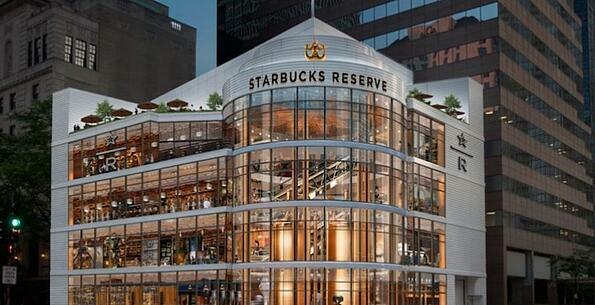 Designed to be the largest Starbucks in the world at 43,000 square feet, The Chicago Reserve Roastery promises to offer a “one-of-a-kind coffee experience,” across four stories of interactive space. The monster roastery will take over space currently occupied by Crate & Barrel on the corner of North Michigan Avenue and Erie Street. Additional features of the Chicago Reserve Roastery include a landscaped rooftop terrace with outdoor seating, and a dedicated baking space for Starbucks pastries and light food choices. Read more here.